We offer high quality specialized translation for the Health Sciences, Pharmaceutical and Medical fields. By definition, translating from one language into one or several others is no simple task. It involves knowledge of the source and target languages, of the specific rules that govern the specialty language depending on the field (for example: financial, legal, engineering, technical…), and of the subject matter. This need for specialization makes an already complex process even more complicated. Medical translation deals with everything from translation of medical equipment and medical devices – and their instruction manuals –, to translation of clinical trials, labeling, medical reports and medical procedures, among many others. 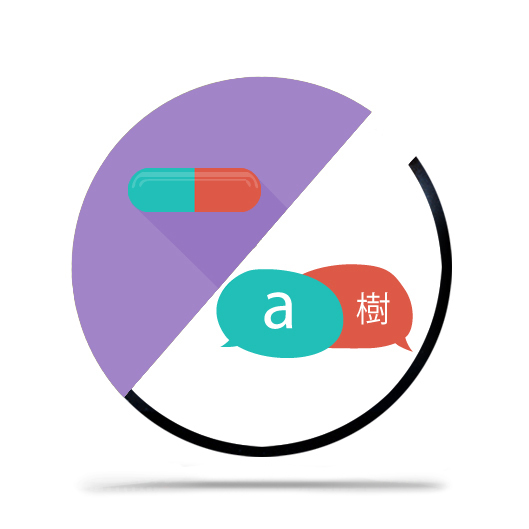 Due to the sensitive nature and the field in question, pharmaceutical translations and medical translations some of the most specialized in the industry. Medical translations, as well as Pharmaceutical translations and translations in the Healthcare field, can be addressed to a broad audience. Unlike technical translations in the Engineering or Scientific fields, for example, medical translations are sometimes for the use of non-specialized patients and, in other cases, for the most specialized of experts. Whatever the target audience, however, the nature of medical translations tends to be particularly sensitive; for this reason, working with highly qualified, professional translators is necessary and essential. Who can translate medical documentation? Medical translators are professional or qualified translators with a solid background in Medicine or the Medical and Health Sciences fields, very often supported by a true expert who oversees the translation process in order to ensure that the medical translation meets the quality requirements expected of such sensitive, and usually highly technical, material. Very often, it’s the physicians or experts themselves who carry out the translations, working along with a Language Service Provider. Deltatext is Language Service Provider with more than 18 years experience. Thanks to our large team of specialized translators, we provide quality translations and language solutions, which our clients can vouch for. As a company made up of both linguists and engineers, we have developed our own terminology and document management software, as well as an online collaborative platform, which allows us to offer much more cost-effective – and cost-saving – translation and language services. Through this platform, our clients can also interact with our team-managers, translators and revisers during the translation, revision, editing and proofreading processes. Deltatext is ISO 9001 and UNE-EN 15038– certified, a quality assurance guarantee. Request a free quote for a medical translation or send us an e-mail at deltatext@deltatext.com.